For the past few months Bay Area graffiti legend, Estria, has traveled to Harlem, Chicago, and Honolulu, in the 3rd Annual Estria Invitational Graffiti Battle (EIGB). 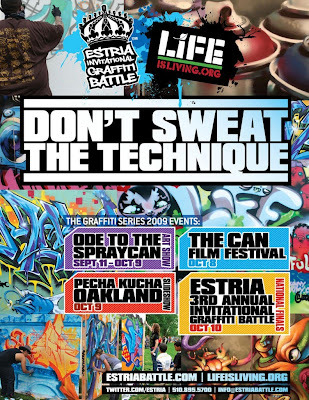 This year’s battle is in collaboration with “The Life Is Living Festival” curated by Marc Bamuthi Joseph, and will come to an end on October 10, 2009, where one graffiti artist will be crowned champion. Winners from the Harlem, Honolulu and Chicago battles will be flown to Oakland to compete in the finals! At the EIGB, 16 of the United States’ most talented and revered graffiti artists will be featured, showcasing the diversity of crews and styles that have developed around the country. The EIGB is a national, traveling, one-day, urban art competition that honors and advances creativity in the Hip Hop arts. The EIGB encourages participants to find new ways of communicating social issues, and promoting contemporary, public, visual art as a positive alternative for youth expression, as well as promoting gender, sexual, racial and class equality through Hip Hop. Since the general public still does not understand graffiti as a subculture, it is up to us to promote positive attention from the media, and address the negative stereotypes about graffiti as an art form. 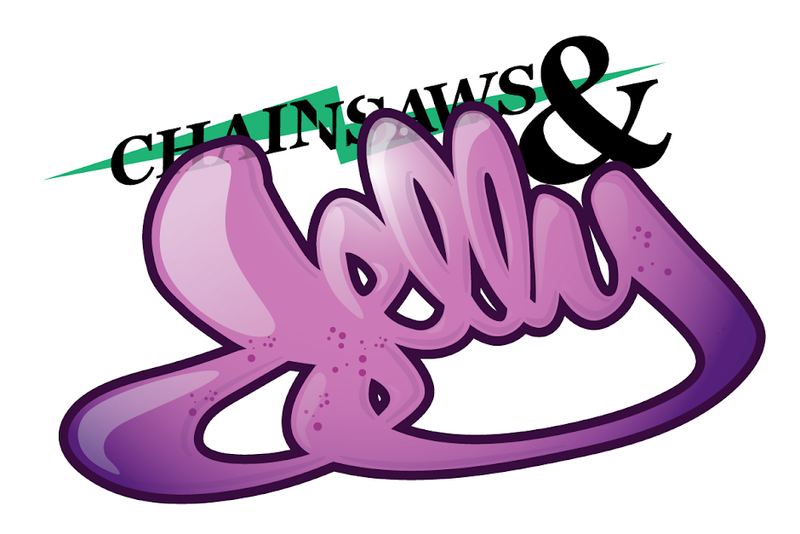 The EIGB has created the space and dialogue to build community among Hip Hop enthusiasts, and the opportunity to educate family, friends, children, elders, and skeptics on graffiti art. 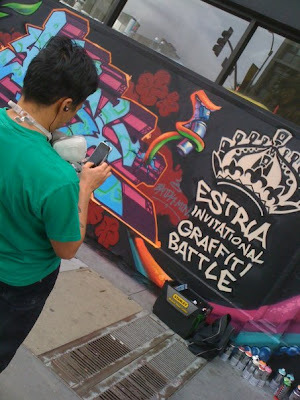 Below are several events and exhibits in San Francisco and Oakland, all leading up to the big day, The 3rd Annual Estria Invitational Graffiti Battle! Don’t Sweat The Technique - Ode To The Spray Can is an exhibit featuring art by judges and contestants of the Estria Invitational Graffiti Battle, and the staff of Montana North America. Pecha Kucha Night Oakland is a monthly event featuring designers and architects of social change. 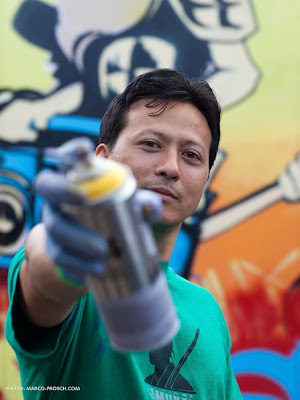 October will highlight 10 graffiti artists for social change, each artist has 20 seconds (per slide), to share 20 slides. The 3rd Annual Estria Invitational Graffiti Battle will also host workshops from 1AM Gallery, and a black book battle by Visual Element, offering a space for the general public to participate in the event.